Our dive shop is staff with PADI Master Instructors and PADI Master Scuba Trainers who are trained as Scuba equipment service technicians or PADI Equipment Speciality Instructors so they understand your diving needs. Our business has been built on the quality of our service, the professionalism and experience of our staff, the quality of the equipment we sell and the basic principle of keeping our divers diving. All our staff love diving and love taking other people diving. We are scuba diving and freediving instructors who want to help you with your diving. We limit the range of products we sell to those that best suit Sydney diving. We know and understand the dive gear we sell. 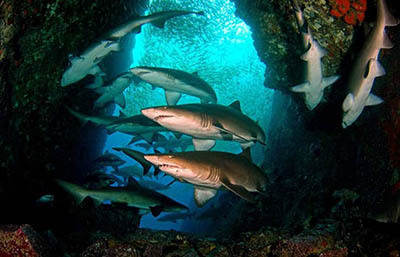 Fish Rock Cave at South West Rocks is voted among the top ten scuba dives in Australia. Located approximately 2.5 hours from Sydney. 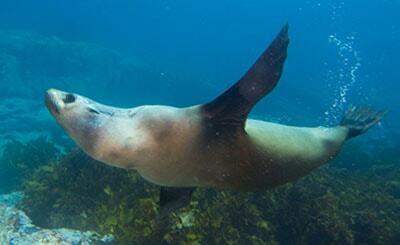 Jervis Bay offers abundant marine life plus a you can even dive a plane wreck. 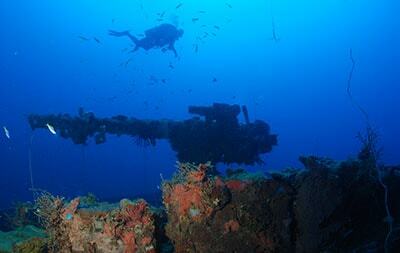 Join our team on an 9 day/ 8night trip scuba diving what is the dream of most divers, Truk Lagoon.